I am fan of KKR with SRK. KKR khelega, SRK nachega, Eden garden houseful, Rasel batting wonderful. Chalo mathe bolo KKR, Dikha do khel Kolkata ki power. 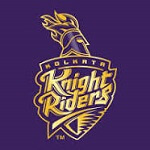 I just love kkr they are my best team thanks to shahrukkhan!!!!!!!! Kkr fullform is kala kutta rockstar.